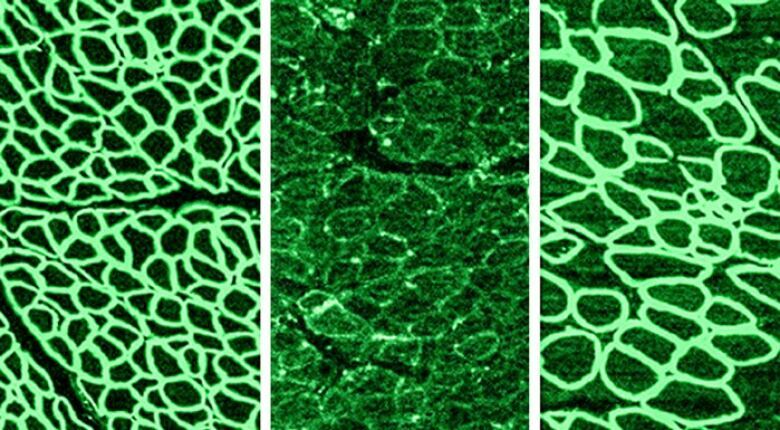 A team of researchers may be one step closer to curing a devastating form of muscular dystrophy, after announcing they successfully used gene editing to stop the progression of the disease in dogs. "To say it was exhilarating to see the initial results would be an understatement," Eric Olson, leader of the research team and a molecular biologist at the University of Texas Southwestern Medical Center, told Quirks & Quarks. They used CRISPR, a much-hyped new gene editing tool, to remove a mutation in dogs with a version of Duchenne muscular dystrophy. It's the first time the procedure was successful with an animal as large as a dog — an important step towards possible use on humans affected by the disease. Duchenne muscular dystrophy is a devastating disease that occurs most commonly in boys who inherit a faulty gene on the X chromosome from their mothers. Normally, the gene produces a vital muscle protein called dystrophin, which acts like a kind of "molecular shock absorber" in muscle cells, according to Olson. Sometimes, however, mutations concentrated on what Olson calls a "hot spot" on the dystrophin gene halts its production. Without it, muscles degrade and don't function properly, leading to increasing muscle weakness, breathing and heart problems, and early death. Many patients don't survive past their early twenties. 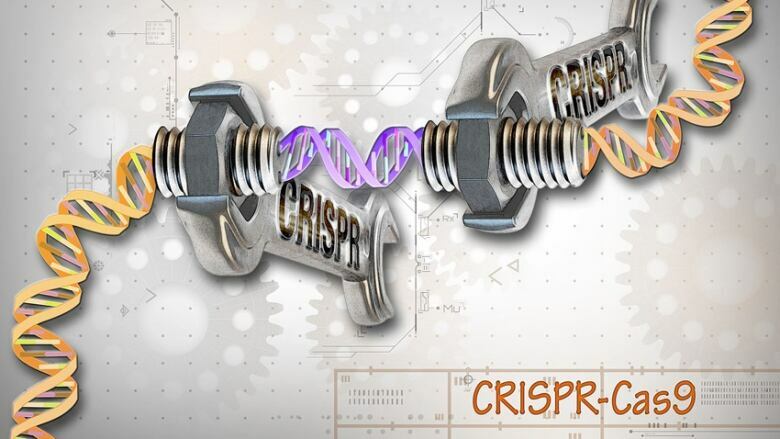 CRISPR gene editing works sort of like a "search and replace" function in a word processor, except for DNA. Researchers used it to cut a section out of the gene around the mutation hot spot. This produces a version of dystrophin protein that's missing a segment present in the normal protein, but which functions nearly as well. "Even a partial correction can still work," explained Olson. Next, they used a safe variety of a common virus, called an adenovirus, to help deliver the gene repair system to the muscle tissue. They modified the virus to carry the CRISPR gene editing tool, hoping that it could then deliver the genetic modification to muscle cells. 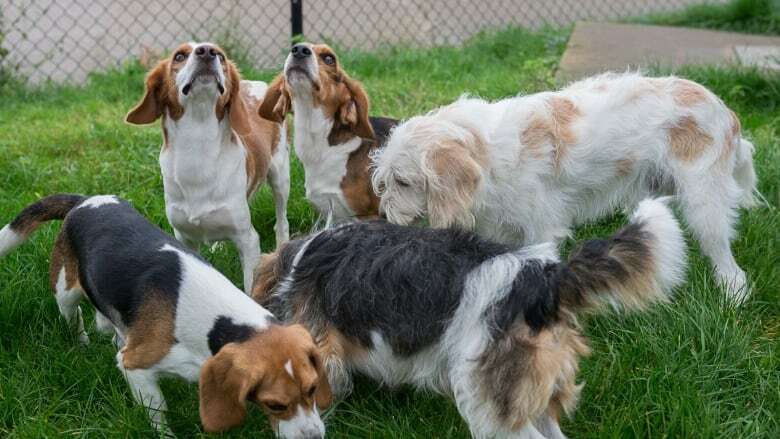 Olson's team used dogs as their experimental animal because the UK's Royal Veterinary College maintains a group of beagles for research who carry "hot spot" mutations very similar to the ones in some human versions of muscular dystrophy. "When we learned of this dog model, we felt it would be the ultimate test case for our technology to see could really deliver gene editing machinery throughout the body of a large animal," explained Olson. The team introduced the virus into the dogs, and then it was a matter of waiting. They had to give enough time for the virus to circulate, inject its payload, and for the CRISPR system to do its gene editing. After eight weeks, they took muscle biopsies to see if there were any changes to the targeted cells. They were hoping to restore perhaps 15 per cent of the normal level of dystrophin. The results greatly exceeded their expectations. "We found we could restore up to 90 per cent of the normal level of dystrophin protein in the heart, and very high levels in many other muscle tissues as well," said Olson. "The success was really encouraging." According to Dr. Ronald Cohn, a researcher at Toronto's Hospital for Sick Children who also investigates Duchenne Muscular Dystrophy, this high expression of dystrophin is "the most exciting aspect of this paper." He cautions, though, that improved levels of the protein aren't the same as actually seeing improved muscle function, "so it's a bit difficult to assess how much functional benefit these results actually revealed." Olson acknowledges this, but thinks they'll be able to prove that soon. "We still have a lot of work to do, and we need to do more rigorous analysis," he said. Nevertheless, while the team doesn't yet have rigorous evidence of improved muscle function, "it was obvious by the behaviour of the dogs that they were also dramatically improved." Many important questions must still be answered, however, before this can be tested as a therapy for humans in clinical trials. "We have to be absolutely sure that this method is safe over the long term," said Olson. In particular, they need to ensure that CRISPR doesn't inadvertently "search and replace" a part of the gene that doesn't contain a mutation and accidentally alter DNA it shouldn't. That would create a new problem while (or instead of) fixing a new one. There are also some concerns about immune reactions against the CRISPR tool itself, since it is "foreign" DNA that the immune system might attack. "This technology is moving at a breathtaking pace," and so safety has to be a paramount concern, said Olson. Nevertheless, he hopes that if all goes well it may only be a few years before clinical trials can begin for gene editing therapy — first for muscular dystrophy, and then potentially a range of other devastating genetic diseases.